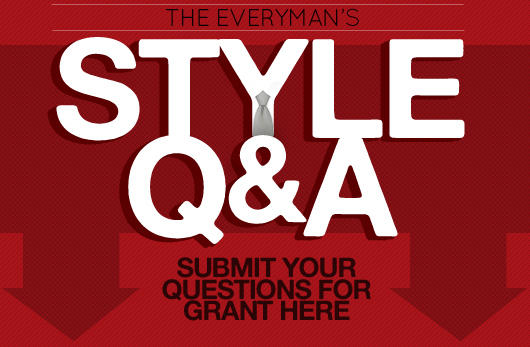 Professional image consultant Grant Harris takes your questions regarding a more modern haircut, wearing socks with shorts, caring for your ties so they don't lose their shape, and how long an untucked shirt should be in the back. I’m glad to hear you still have your hairline. I've always been a support of shorter hair in general. Unless you’re a rock star or stuck in the 80’s I see no need to have a mullet or long locks. Fortunately you fit neither category. Most of the problem with long hair is where it grows, not how long it grows. 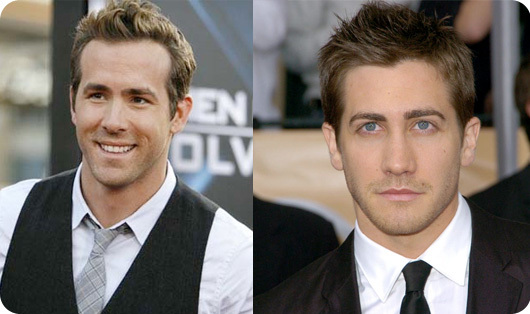 Pay attention to the hair around your ears, on your neck, and around your hairline. Keep these areas neat and trimmed and you’ll be ahead of the game. Keep the top long enough to run your hands and hair product through but avoid the mop flop. If and when your hairline starts to fade keep your hair as short as possible to blend the remnants of your hairline and to avoid looking like you’re in denial of your hair loss. Under no circumstances should you rock the faux hawk. Check out our article on how to communicate to your barber/stylist what you want. It’s totally acceptable to wear socks with shorts. You may not want to go as far as the fellows in Bermuda, but many men prefer wearing longer socks with shorts. Several famous athletes prefer high socks with shorts. Long or short socks are both good choices depending on your personal taste. I think the real question is when is it appropriate to go sockless? You can and should wear socks with all shoes except sandals. Do not under any circumstances wear socks with sandals. Always go sockless. With other shoes such as loafers, boots, sneakers, espadrilles, etc., going sockless is a personal preference. I recommend going sockless with all these footwear options in dry and hot climates. If you’re worried about foot order or profuse sweating use Gold Bond powder or try loafer socks. Whether your tie is from Hermes, Charvet, or Men’s Wearhouse, you’ll want to take care of it as best as possible and it will take care of you. Your ties end up wrinkled for several reasons. You’re probably loosening your tie knot improperly. Your tie should be unknotted the same way it was tied. This will minimize wrinkles. Storage is next. Silk ties should be hung vertically from a tie rack. Gravity will help the silk settle back to its original shape. However, silk knit ties should be rolled and stored in a drawer. Because knit ties are knitted and not woven the fibers are more susceptible to stretching and disfiguring. Cashmere, cotton, and wool ties should also be rolled. Unfortunately for many men this leaves little storage space. If push comes to shove roll your silk knits and cashmere and hang everything else. Whatever you do, do not iron your tie yourself. This will cause major damage that may be irreversible. If your tie still has wrinkles take it to a dry cleaner for proper pressing or use an instrument called a tie press. It's old school but it works. 4. I know how a shirt should fit at the shoulders and sleeves, but how long should a button up shirt be when I want to wear it untucked? I have a few dress shirts that do well both tucked and untucked and a few that are questionably long. 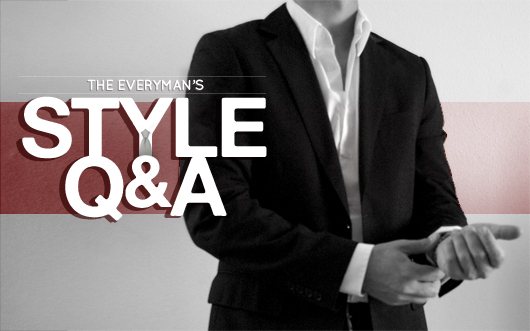 – Scott R.
In these modern times most button down shirts are worn untucked. However, this is sartorially incorrect. If your shirt bottom is curved it is designed to be tucked. The only shirts that are intended to be worn untucked have a flat or squared bottom like a polo. Usually these shirts are made for resort and casual wear in fabrics like linen, cotton and voile. Now that many sartorial lines have been blurred it is perfectly acceptable to wear casual button down shirts untucked. If you choose to do so it should be no shorter than hip length and no longer than the bottom of your jeans pocket or the bottom of your rear if you’re wearing chinos. Dress shirt tails are inherently longer so that they don’t come untucked in professional environments. 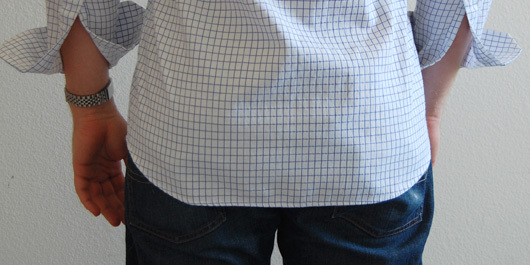 Casual shirt tails come shorter for more comfort and ease of movement. Regarding question four, you used the phrase “button down.” Don’t button downs shirts have collars with buttons on them to keep the collar down? I guess your usage for the answer to the question is correct but would only addressed these specific shirts. Maybe a rephrasing and usage of “button up” would be more general and cover more of the shirts that the inquirer asked about. I know this is nitpicking but sartorial knowledge is good and knowing is half the battle. I’ve worn a faux hawk-ish style for a few years now.. Any ideas on where to go from there? Hey Trey, I’d definitely give the options above a try. I think you’ll find them to be both easy and versatile. Paux would be a french family name. Hey Nico, Thanks for the catch, it’s updated. Like your site, very useful! Anyway, loved your article, great recommendations from a real style guru. Ankle socks, with loafers and shorts look quite normal to me, unless we are talking about white socks lol. Mines kind of like that, but a little shorter.